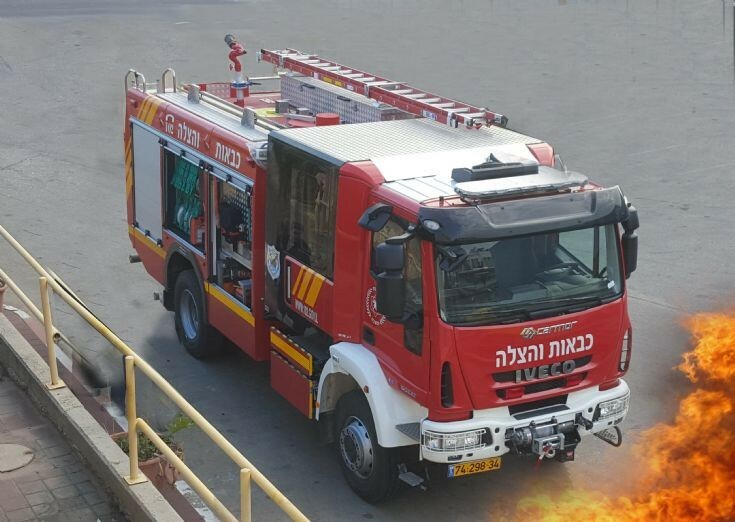 This is an example of the newest standard pumper in Israel, joining scores of MAN and even earlier Mercedes units in the fleet. These combine both structural and rural firefighting capabilities, with a 4X4 chassis, front winch, roof monitor and large water tank, as well as everything needed for fires in buildings. Earlier versions had a 4000 liter tank: these are probably around the same capacity. All the National Fire Authority pumpers are to a standard specification and are staffed by a crew of five. The NFA also operate numerous US Ford F series light appliances and several Iveco 6X6 tankers as backup units, as well as the usual other specials, including aerials, rescue trucks and command vehicles. NFA personnel number approximately 5, 000, 60% of whom are unpaid volunteers. Added by Rob Johnson on 31 May 2018.